Today is the 40th anniversary of the airing of the first episode of Sesame Street. The program came along a bit too late for my early childhood, but the muppets would later catch my fancy with their own show and features like "Pigs in Space." 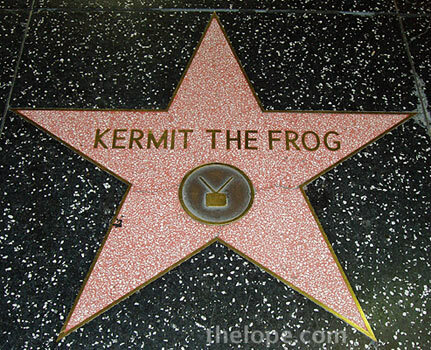 It's nice to know that puppets have the right to be recognized for their contributions. 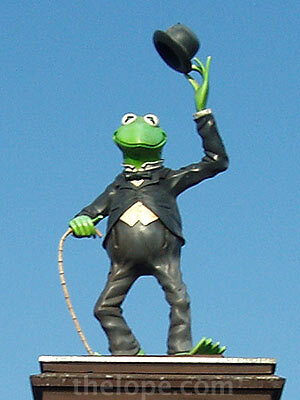 The Kermit statue above decorates the Jim Henson Company at 1416 N La Brea Avenue in Hollywood, seen here on August 10, 2005. 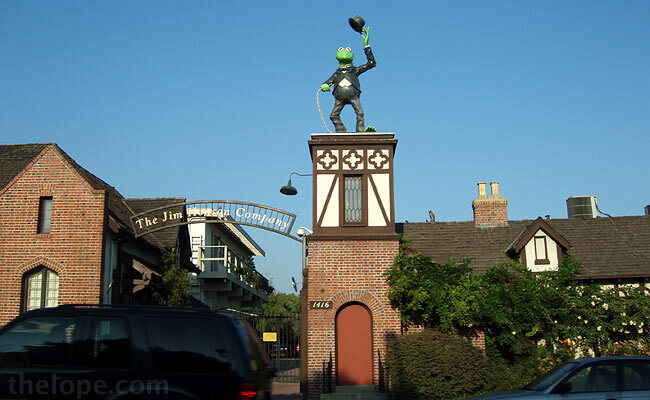 The studio is located on the old Charlie Chaplin Studios lot, where Chaplin filmed "Gold Rush" and "The Great Dictator."